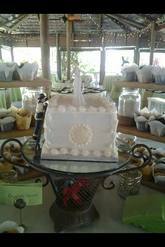 ​BC Cupcakery is a wedding cupcake bakery based in New Smyrna Beach, Florida. 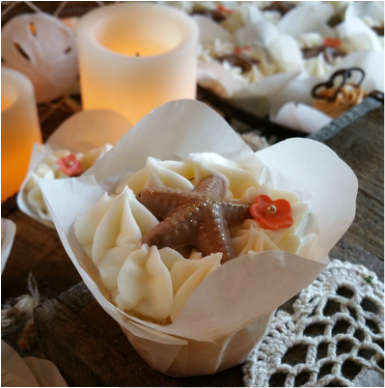 Our bakery specializes in high-quality gourmet cupcakes. 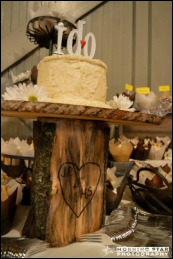 The fillings and frostings are made from the finest ingredients, and each order is made fresh for the wedding. Our bakery does not mass produce its desserts, in order to keep the quality and freshness of the cupcakes consistently delicious. 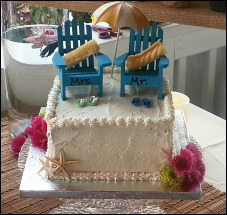 BC Cupcakery works with couples to integrate the wedding theme and their preferred flavors into the selection. We work with couples in the New Smyrna Beach and Daytona areas, and are open to deliver to Lake Mary, Sanford, and the surrounding areas. 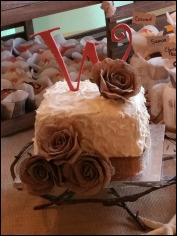 A custom quote and tasting consultation can be scheduled at no charge to discuss the vision that you have for your wedding. For the tasting we offer a sampler of one dozen cupcakes of your choice for $40. You may choose 3 flavors to sample and you will receive several of each flavor. A $50 non refundable deposit is required to hold your wedding date. and reception at Celebration Hall could have not been more beautiful. ​ A beautiful place to create wedding memories! way to usher in the first day of Spring. Their tropical theme was so fitting! Dr Phillips House is an amazing site for a beautiful Fall wedding. The weather could have not been more perfect! ​ The historical surroundings are beautiful and perfect for any event. 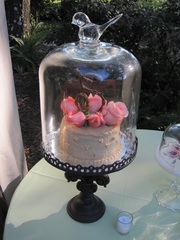 A perfect evening for a beautiful wedding at the Winter Park Farmers Market. The setting at the historic train station in the heart of Winter Park is rustic and a perfect place for events. ​The evening tonight could not have been more memorable for Jason and Heather. Harmony Gardens was such a beautiful setting for a wedding and reception. Tucked under the trees, the wedding site was just beautiful with the arbor and the guest seating. ​Then everyone danced the night away under the stars on an outdoor dance floor. Everyone seemed to have an amazing time. This wedding at Paradise Cove was so beautiful. The setting for the reception is so relaxing at the waters edge.